If you were around Tasik Titiwangsa in Kuala Lumpur last weekend, you would’ve probably noticed this colourful hot air balloon soaring in the air. 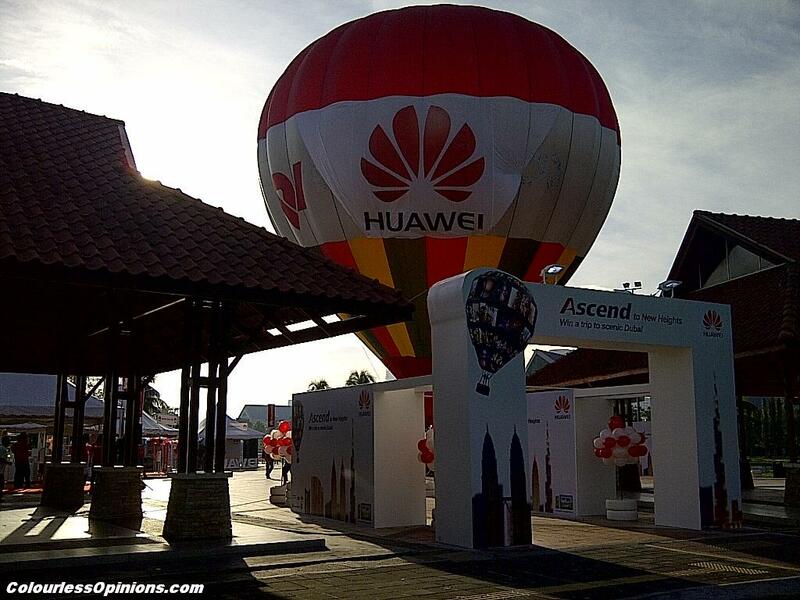 It was actually one of the attractions and activities from the Ascend To New Heights campaign launching event of Huawei. 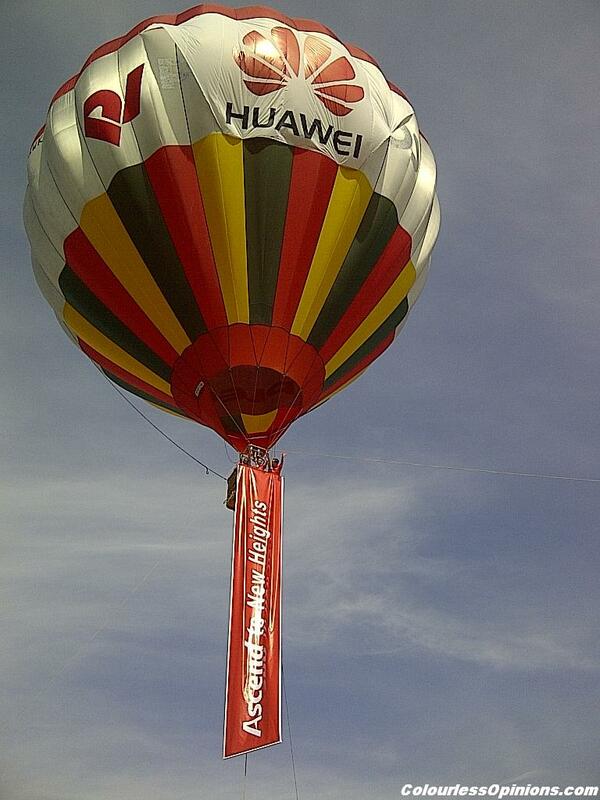 There were free rides on the hot air balloon, jumpshot photography, Experience Zone where attendees can check out Huawei’s products, and interactive challenges like the Trampoline Jump and Racing Challenge where spontaneous participants won goodies from the brand. wasn’t composed enough to take a nice photo of the sight. 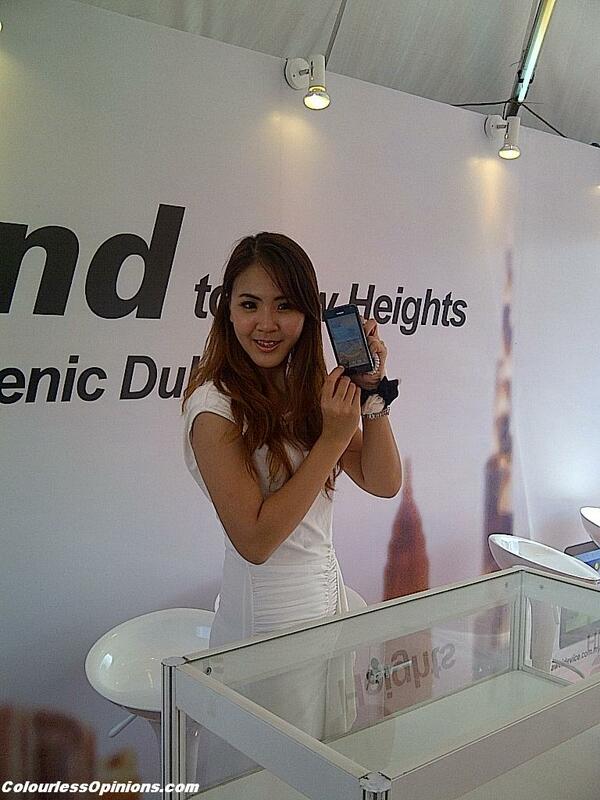 The brand Huawei was not stranger to me. Its Mediapad was introduced and used in a long distance treasure hunt by Celcom earlier this year (unfortunately, I didn’t blog about it). But only through this event, I found out the brand is a global ICT solution provider that carries many other different products besides the tablet device. Their Ascend P1 smartphone launched in September and have sold thousands, which was considered an encouraging number in sales according to Tang Siew Wai, the Regional Marketing Director of Huawei Device Southern Pacific Region. 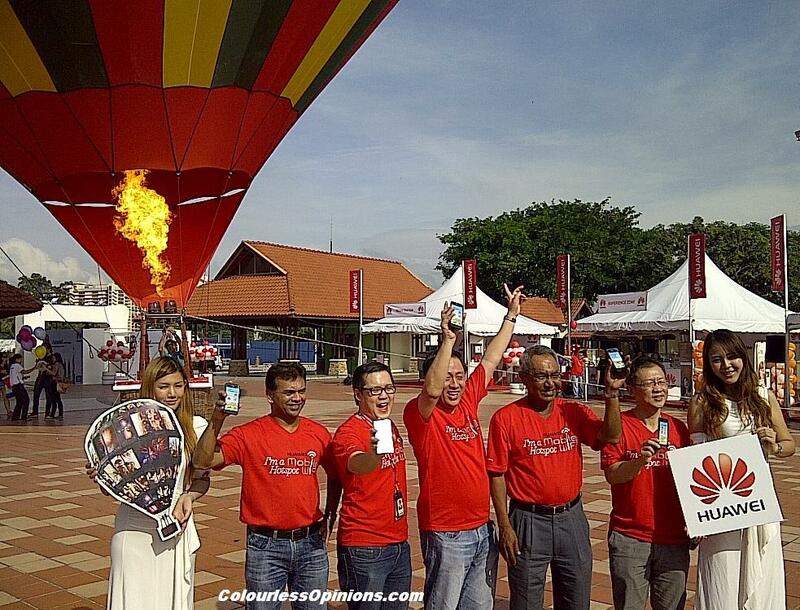 The public can now log on to this campaign’s official website at www.AscendToNewHeights.com to win awesome prizes such as Huawei smartphones, mediapad, mobile WIFI, t-shirts, USB drives, movie tickets, hot air balloon tickets and the luxurious Grand Prize – an all-expenses-paid trip for two to Dubai. Two lucky couples will get to enjoy this 4D3N stay at a super 5-star hotel with a helicopter tour of the city, exclusive tour of the tallest building in the world – the Burj Khalifa (remember that thrilling scene in Mission: Impossible – Ghost Protocol? ), Dubai Historical Tour and Desert Experience. All of that worth RM40,000 for each of the two lucky pair of winners! During the event, Huawei introduced three of their latest smartphone models from the Ascend series – D1 Quad, Ascend G600 and Ascend G330. The price of one of these models is as low as RM599, which is most likely the cheapest price for a smartphone in the market today. Just like Samsung and HTC phones, they run on Android OS with 3D experience features which users can see KLCC twin towers popping up on the map. The three models may look very much alike but their specifications are not. The Huawei Ascend D1 Quad is the fastest smartphone from the brand today, powered by a Huawei K3V2 quad-core 1.4GHz processor and a 8-megapixel BSI rear-facing camera with AF 1080p full HD video capture. The best part of it all is that it’s going for only RM1,239. That’s way lesser than what my Blackberry cost me 2 years ago. Go here to check out the specs of all Huawei’s phones. 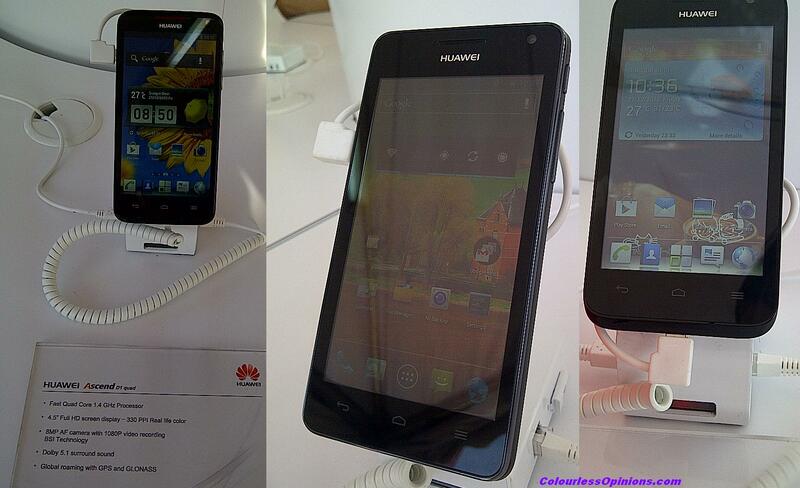 From left; Huawei Ascend D1 Quad, Huawei Ascend G600, Huawei Ascend G330.